I’m a family man in my 20’s with a passion to help other’s gain success through my experiences and knowledge. I was born and raised in a small town called Pine Bluff, AR. I came from a poor family that didn’t have access to much and without any father figure in my life I never really had any direction. Fast forward to 2005 when I was 12 years old and first discovered the internet, using an old computer on AOL I discovered BlackPlanet.com and started designing templates for the community. Shortly after BlackPlanet.com I stumbled across Myspace.com and started designing layouts for Myspace user’s, which lead me to great success and very well known as a designer. As we all know Myspace lost it’s success which led me to discover other avenues in the web world. I came across ThemeForest.com which is a marketplace for aspiring designers and developer’s. I had many years in Photoshop and wanted to expand my knowledge in developing WordPress Theme’s so I could sell in this marketplace. I spent 4 years on ThemeForest with 12 WordPress Themes on the marketplace before deciding to become a Freelancer. I have completed thousands of Freelance projects and have an immense amount of knowledge in every area of the web. 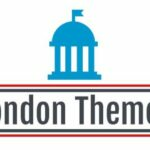 LondonThemes is my way to bring everything I know to one place and to share my knowledge and my work with any up and coming entrepreneur. With 14+ years of experience you will not find another website that will help you learn and succeed in your online business such as this one. I will always share my experiences and my years of web knowledge to help you drop the 9 to 5 and make money living your dream. You can count on me to tell you secrets of the web that you will not find on any other website. I built LondonThemes to help you succeed!